Connecting with People in the Field – Does It Matter? Throughout my volunteering and my working experience, the field has always been the cornerstone of everything I do. Engaging directly with and working alongside people in the field is something I really enjoy: it has empowered me with life-changing experiences, left a great impact on my character and personality, and supported me in the things I most love doing. 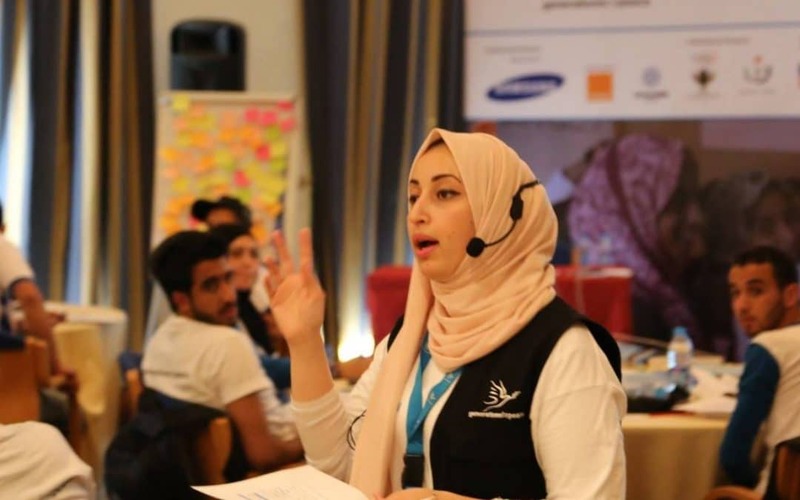 If you speak with volunteers, staff, or anyone working in the humanitarian sector or with non-profits and NGOs, I am confident they will have similar passion for their connection to the field. backgrounds and becoming involved in youth-based volunteerism. I have always found this type of work meaningful, since I believe that – in spite of this sounding clichéd – each and every one of us has a role to play in the development of our communities. However, if I am honest, I have enjoyed volunteering with some NGOs and organisations more than with others. I’ve noticed that, among the organisations in Jordan and around the world that focus on peacebuilding and development, many are doing great things, but continue to face challenges when it comes to sustaining the impact of the work they do. There are many factors that make the impact of what organisations do either great or limited. For me, the most important indicator of the potential sustainability of an organisation’s work and impact is how it connects with its people in local communities before, during, and even after the programmes it implements. One factor that will likely impact the direct connection an organisation has with the community it seeks to impact is the motivation behind its involvement. When you are dealing with communities, is your aim to implement a programme because this is what you are ‘supposed to do,’ or is it because you are trying to be part of the community, working to support it from the local grassroots within? The second motivation brings with it the feeling of belonging, which can really make a difference in bringing about the desired change. If those you are working to empower feel that you are a part of their family, they will allow you to have a deeper, more direct, and more sustainable connection with them. The first step on this journey is to understand the field – understand the communities – and that means learning about the different cultures, traditions, and mindsets of those within, since what is accepted in one community may not be accepted in another. This requires a lot of preparation even before beginning a programme. You need first to understand the peculiarities of the community you are planning to work in: what are the needs of the community and what programmes can you implement to meet them? The people of the local community are the best source for you, as a peacebuilder, to learn all of this: they can express their worries, needs, and, perhaps most importantly, their own abilities. Until you have done this, you will have trouble setting off on your mission of building peace, regardless of the circumstances. As a peacebuilder, you also need to be aware of the most effective entry points into communities. One of the best ways to find these is to seek out different community stakeholders. The influencers and local partners can help you open doors in the community and support your programme in a healthy, effective, productive way. Another important thing to consider is investing in the youth of your target communities. What could be better than making the future of the community part of the peacebuilding process? Youth’s involvement will likely support your programme launch and will almost certainly increase the sustainable impact of the programme as it develops alongside them. During the implementation of the programme and especially after its completion, it is important to maintain relationships with different stakeholders – especially youth and local partners – who were involved in your programme. It is important to use different means of communication: field visits, phone calls, social media, or sharing future opportunities such as trainings and programme news with them. This will strengthen the links you built, allow you to support and mentor them, helping them develop themselves and the community as a whole. At Generations For Peace, our primary connection with the participants and local communities are the volunteers: Delegates and Pioneers with whom we work in the field. Because of their lifelong involvement in their own communities, both as members and often as leaders, they act as more motivated, influential agents of change than those coming in from outside the community. The relationships they have with their families, neighbours, peers, and friends provide unique points of contact through which larger organisations like GFP can begin to establish a meaningful presence and implement effective programming. Talal Alkhatatbeh, one such Delegate from Jordan, proves a valuable example of this. Through a deepened and personal relationship with Talal, his Syrian neighbour decided, despite his hesitation, to let his son participate in GFP programmes. Because of Talal’s direct connection, his neighbour’s son became involved in GFP’s peacebuilding activities, allowing him to strengthen his relationships with other youth in his own community. “Even after the programmes have finished, he has continued to keep in touch with us,” Talal shared. “He even attends other activities in the youth centre,” Talal shared. “When he saw us in the neighbourhood, he came to us and started chasing and asking about any new activities and programmes.” Connections to the field help achieve not only depth, but also longevity – usually in tandem. Design your programme very carefully: be clear with your goals and intentions from the beginning, and be vocal about what you can and, more importantly, cannot do. Then, plan well for it together with community members. Follow through – if you say that you are going to do something, then make sure to do it, in the agreed-upon manner and on time. Believe in and be excited about what you do: if you believe that success is possible others will start believing in it too. Keep in contact with the people in the field and build sustainable relationships with them throughout and after the programme, encouraging volunteers and showing them appreciation for their efforts. The work youth does through volunteering and peacebuilding is ongoing – peace is not built, nor is conflict transformed, in a day. We need to ensure that the programmes we set in motion or the peace we begin building can continue to progress even after we are gone. Through strong connections to those in the field, this challenging but important goal is possible.